To serve our clients worldwide and more effectively, ISO Translations Company has three specialized departments for language translation. With these three specialized departments the ISO-Group is focused on the East-European, West-European and the Scandinavian market. Each department offers a highly qualitative language translation service and guarantees consistency. 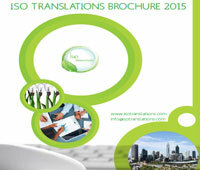 At ISO Translations, our first priority is to serve you, our client, in the best possible way. The combination of our team of high qualified internal employees together with a database of excellent native translators, each with their own expertise within one of the specialized markets, enables the ISO Group to translate a wide variety of documents. Our key strength is that we know our professional translators very well; we know exactly who will be the right native translator for your task. Any language translation that we provide is always the product of at least two professionals; after the translator has translated the document, it is followed by a thorough revision. If you need high quality language translation, you came to the right company. 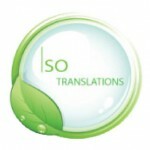 ISO Translations provides quality translation services at fair prices. Contact us for a quote.